"Don't Worry, Be Appy! 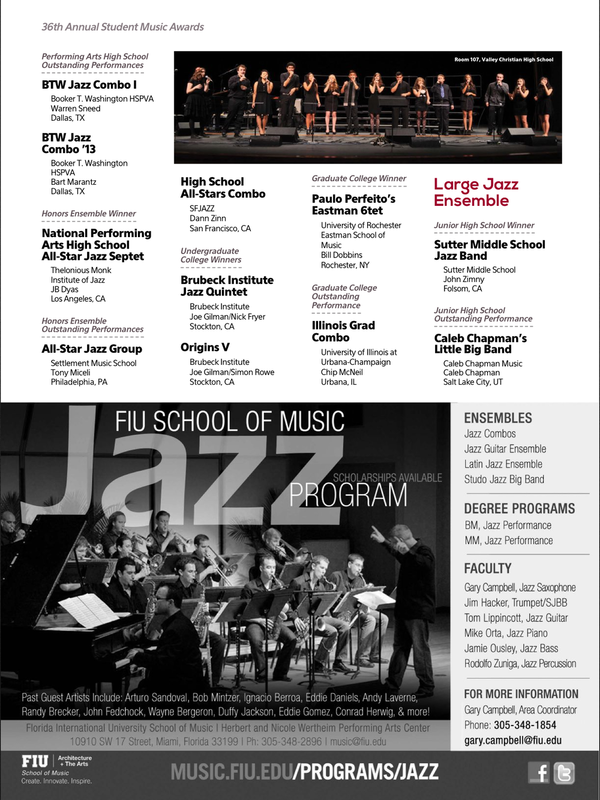 Apps for Music Education"
I will be giving a presentation on the most effective music apps that I have found for the iPad and iPhone. You can download a list of the apps I will be discussing by clicking on the link below. You will be directed to a Word document with active links to access the app store directly from your mobile device. 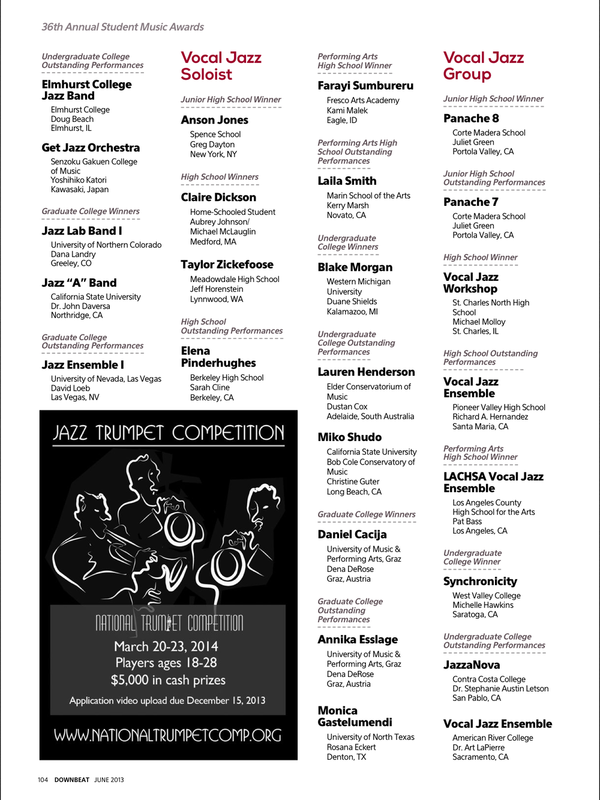 Come and hear both my vocal jazz groups at the San Jose Jazz Fest. We will be performing at the Bank of the West Next Generation Stage on Sunday August 11th. 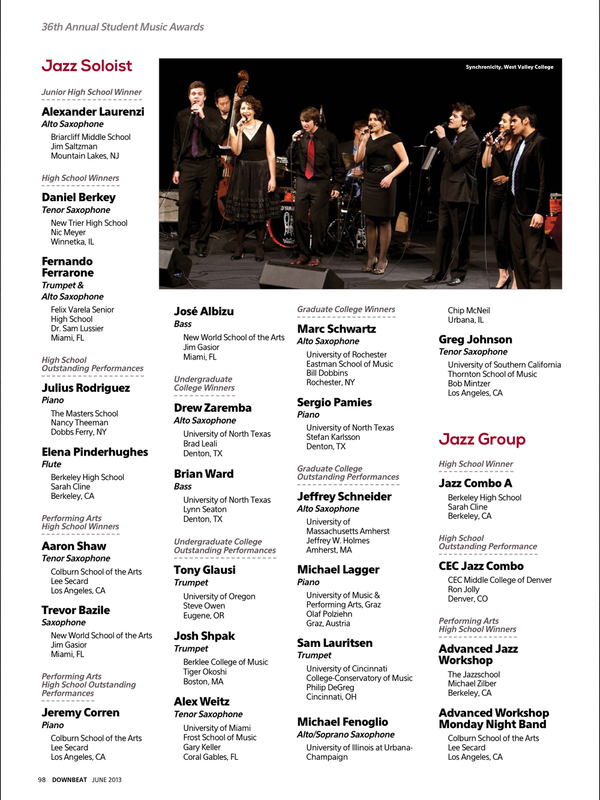 Both of my vocal jazz ensembles won "Best Vocal Jazz Group" in their respective categories from Downbeat Magazine 2013. Congratulations to "Synchronicity" from West Valley College and "Room 107" from Valley Christian High School.